Some photos are significant not because of what’s depicted, but because of the mood they create. They communicate an idea that transcends the actual subject of the image. Here’s a photo that conveys a sense of mystery. Can you tell what it is? 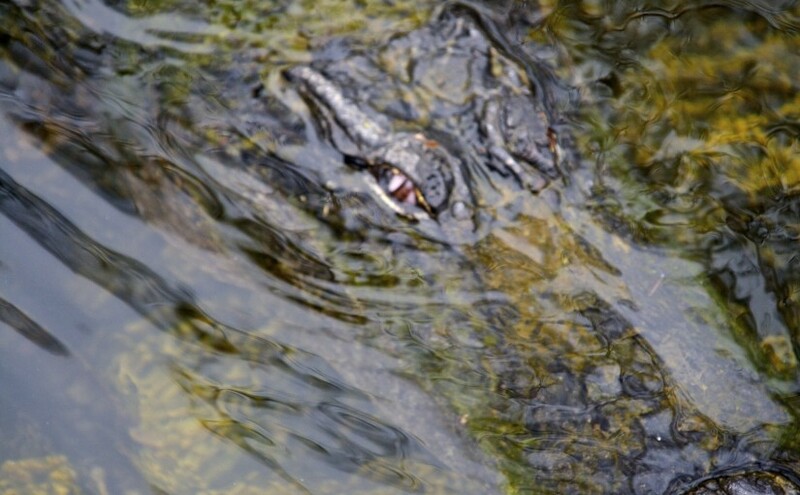 Whilst wandering around the Everglades I suddenly felt as if I was being watched! 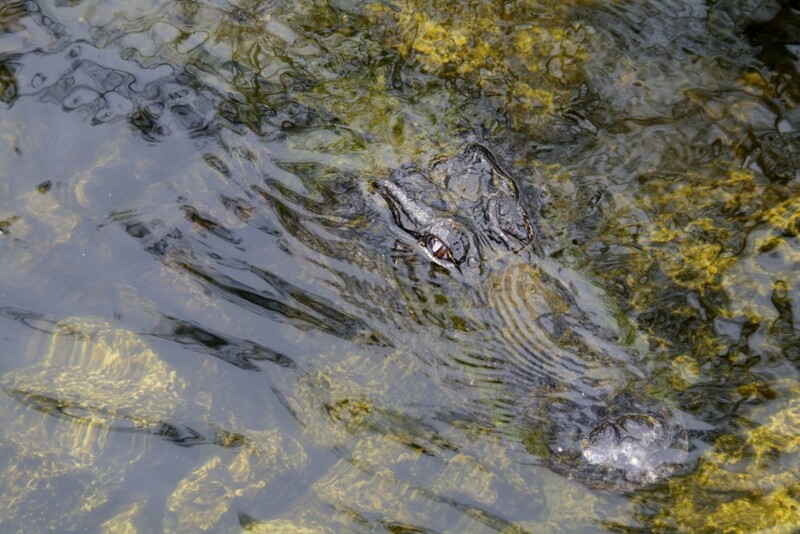 In case you need a clue – it’s an Alligator lurking just below the water – it was extremely large and very close. It’s very well camouflaged against the stones and quiet. He had swam up close without me even realizing. Perfect! I love how it is hidden in the reflection of the water. Outstanding shot! I can’t believe you had your wits around you to take the photo! I would have dropped everything and ran for my life!! Very cool photo! Love your commentary on it as well. Very well done! Great capture! But it makes my hairs standing up! What great images. How well camouflaged. Love the beady eyes. Just as well it wasn’t one of our saltwater crocks. Get up close and personal with one of those and it’s generally good night nurse.